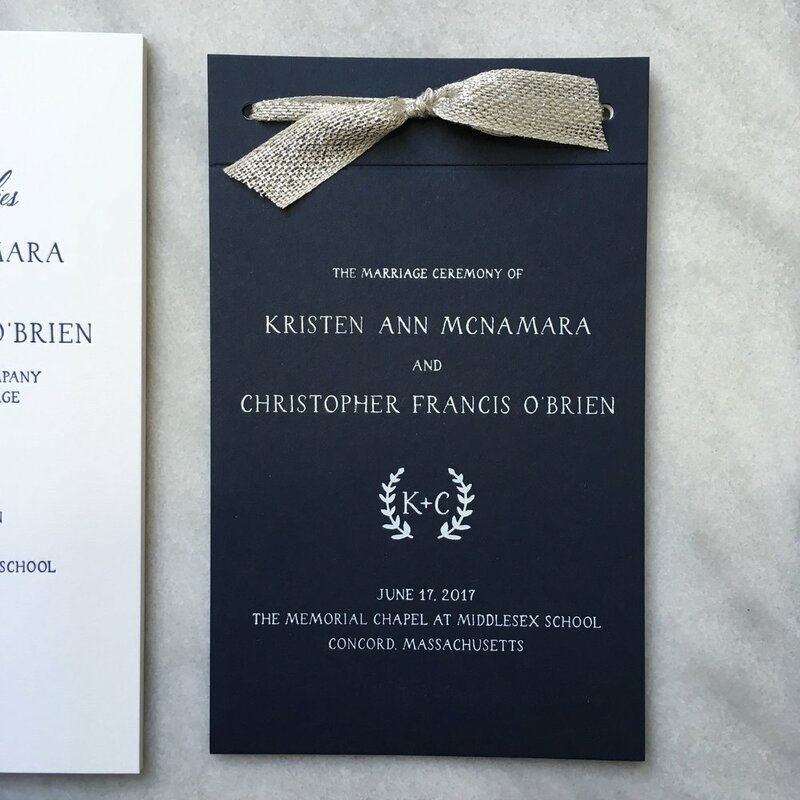 This is a four piece wedding invitation suite. It is navy letterpress printed on 100% cotton, bright white stock. 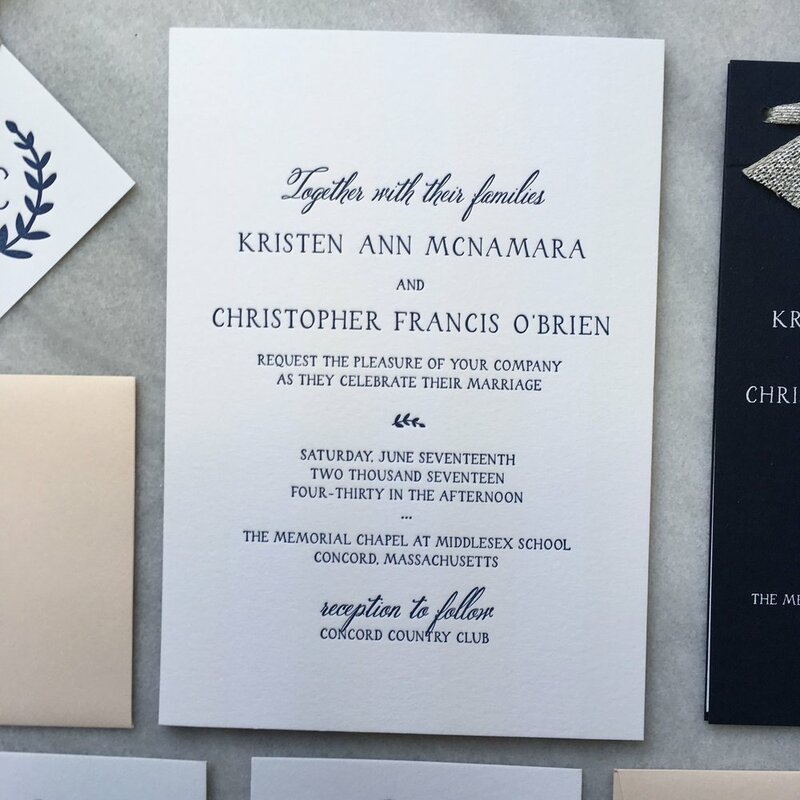 The accompanying wedding program is white letterpress printed on navy stock. 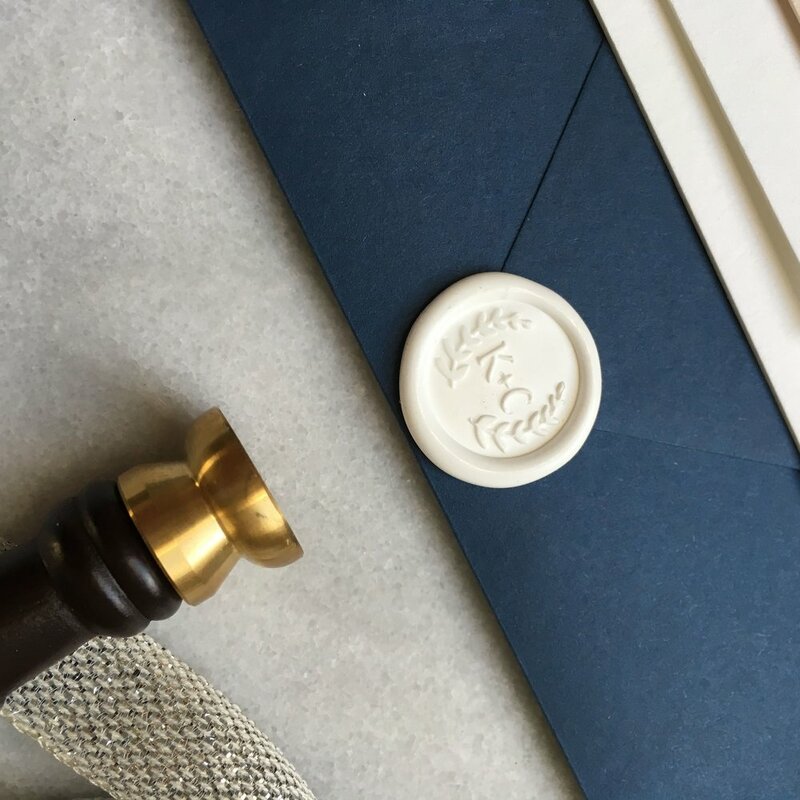 The invitation features custom wax stamps printed with the bride and groom's initials and blush envelopes.